Phyllis June (Duncan-Richardson) Hively age 71 of Stearns, Kentucky, passed from this life on Saturday, November 24, 2018 at her home. She was born March 22, 1947 in Strunk, Kentucky to Jim Duncan and Augusta (King) Duncan. 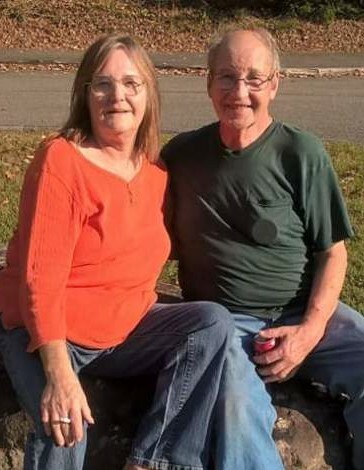 In addition to her parents, she is preceded in death by her late husband, Elisha Fred Richardson; brothers, Ray, Don, Bobby, Bill, and Muray Duncan; sisters, Wanda Cook and Marcella Taylor; great-grandchildren, Kennedy Stringer and Jason Hughes; and a son-in-law, Donald Ray Shepherd, Jr. Surviving family include her husband, Jackie “Jack” Edward Hively, whom she married July 31, 2016; sons, Robert Clift (wife, Kathy) Doug Hively, Aaron Hively (wife, Monica); daughters, Paula Ross (significant other, David Nichols), Theresha Elmore (husband, Joe), Crystal Lewis (significant other, Brandon Shepherd), Gladys Watson (husband, Milton), Lisa Hively; sisters, Sue Carr, Joan Privett (husband, Ronnie), Doris Creekmore (husband, Wayne) a special brother, Darrell Duncan; 19 grandchildren; 34 great-grandchildren; and a host of extended family and friends that will greatly miss her. Phyllis June was of the Baptist faith and attended the Little Log Cabin Church. She loved to cook and had made her living as a cook for the McCreary County Schools as well as the owner/operator for the R & R Café for many years. Phyllis June also enjoyed fishing, playing games, especially Bingo, and spending time with her family. Funeral services will be held on Tuesday, November 27, 2018 at 1:00 pm in the chapel of Pine Knot Funeral Home with Bro. David Burton officiating. Burial is to follow in the Kingtown Cemetery. The family will receive friends for visitation on Monday after 6:00 pm at the funeral home.